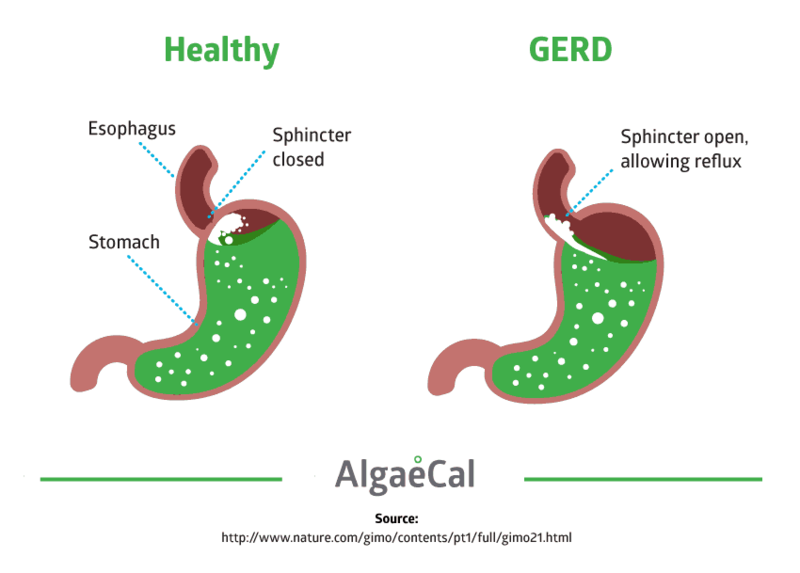 Ten percent of the population experiences heartburn on a weekly basis, so it wasn’t a surprise when I learned AlgaeCal gets a lot of questions about acid reflux and GERD (gastroesophageal reflux disease). It was even less of a surprise when I learned how many of you are seeking natural remedies, often inquiring about the old standby, apple cider vinegar. In order to treat acid reflux, we first need to know what it is and how it’s caused. Acid reflux and GERD may also be terms you’ve heard of too. While the three terms are sometimes used interchangeably, they do differ. Heartburn is a symptom of acid reflux and GERD. Acid reflux on the other hand, is a condition where your stomach acid and other contents come back up into your esophagus through the LES (lower esophageal sphincter). And GERD is a chronic form of acid reflux. In fact, if you experience acid reflux more than twice a week, you may have GERD, according to the Mayo Clinic. If that’s the case, you may experience additional symptoms to heartburn such as chest pain, sour tastes, belching and coughing. GERD is typically treated with over-the-counter medications such as antacids. However, more serious symptoms may lead to prescription drug use with PPIs (proton-pump inhibitors) and H2 blockers, which have been shown to cause bone loss. There are a number of causes of acid reflux, so you should first discover what your cause of acid reflux is. The following are some of the most common causes of acid reflux or GERD. The hiatus is an opening in the diaphragm. It’s a muscular wall that separates the chest cavity from the abdomen. Normally your diaphragm will help to keep the acid in your stomach from rising into your esophagus (food pipe). But with a hiatal hernia, your diaphragm can allow food and acid to come up into the esophagus leading to heartburn. Causes of a hiatal hernia can be heredity, while exercise, obesity, and weight lifting can also cause it. According to the Esophageal Cancer Awareness Association hiatal hernias are common, occurring in up to 60% of people by age 60! While heartburn is common and can happen to anyone, research shows that acid reflux or GERD may be more prevalent in adults who are overweight or obese. Obese subjects are 2.5x more likely to have GERD than those with normal body mass index. Why? Having excess weight around your abdominal area can put pressure on your stomach. As a result, your stomach acids may work back into the esophagus causing heartburn. This relationship between body mass and GERD has been supported by several other researchers. More than 50% of us have a type of bacteria called Helicobacter pylori, making it the most widely present potentially pathogenic bacterium in the world. At low levels, it usually causes no problems, but when levels rise, it causes indigestion, bloating, belching, heartburn — all the same symptoms diagnosed (mistakenly) as GERD. If untreated, high levels of H. pylori promote chronic gastritis, ulcers, and eventually gastric cancer. Did you know that symptoms of low stomach acid include indigestion, bloating, and heartburn? Contrary to popular belief, too little stomach acid can cause digestive issues and contribute to acid reflux. Various studies show hydrochloric acid secretion declines with age. In fact, 30-50% of postmenopausal women are not producing adequate stomach acid. And the health of our parietal cells, which produce stomach acid, can be adversely affected for a variety of reasons. HCL with betaine is a supplement that helps to safely restore stomach acid and support a healthy gut. For more on this supplement including how to take it, pay extra attention to treatment #6 in the list below. A number of medications have also been associated and linked to exacerbating GERD. In fact, a certain class of bone drugs can irritate your esophagus and cause heartburn pain, according to the Mayo Clinic. Other medications that can increase acid reflux and worsen GERD include calcium channel blockers (used for high blood pressure and heart diseases), benzodiazepines (used as sedatives), and anticholinergics (used for irritable bowel syndrome and overactive bladder). These are common foods that trigger acid reflux, however, it doesn’t mean you have to avoid all of these. A good idea is to create a food diary to monitor what you’re eating for two weeks and see which foods bring on symptoms. Some may be on this list, others may not be. This all depends on the individual. In addition, excess alcohol consumption, smoking, and pregnancy can also cause acid reflux or GERD. If you are taking over-the-counter methods such as antacids or prescription medications like a PPI or H2 blocker, please work with a doctor who can help you figure out the cause(s) of your indigestion, acid reflux, or GERD. These are just a few of many potential reasons for digestive unhappiness, none of which are cured by taking over-the-counter methods or prescription drugs. Those only manage your symptoms and also negatively affect your bone health. To pinpoint your cause, discuss with your doctor. Don’t self-diagnose or treat it on your own without proper health guidance. A doctor may start out with a physical exam, followed by questions about your symptoms and medical history. From there, you may be asked to keep a food diary, similar to the one mentioned above, and then share it with your doctor. If your doctor thinks it’s GERD, they will start treatment accordingly. X-rays: You will be asked to swallow barium, which is a chalky liquid that will coat your upper intestines, stomach, and throat making it easier or your doctor to see any issues in your organs. Endoscopy: A long, thin tube and camera will be placed into your digestive tract to find any damage. Manometry: Also known as esophageal motility testing — this test is performed by putting a long, thin tube into your esophagus to see how it moves and pushes acid upward. Ambulatory acid probe test: Also known as a 24-Hour Esophageal pH test — this test measures the amount of acid in your stomach over a 24-hour time period by putting a catheter through your nose and into your esophagus. A small device may also be attached to the wall of your esophagus to measure the acid and send signals to a small device you wear. Two days later it will fall off and pass through your stool. Depending on your physical exam or test results, your doctor may recommend various treatment options. 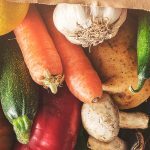 If you’re looking for natural acid reflux treatment options, the following includes techniques, lifestyle changes, and supplements. Once you have effectively pinpointed the cause of your acid reflux or GERD, you can start to incorporate some of the following natural treatment options to relieve symptoms and ultimately heal your digestive system. We know stress can affect your health and your bones, but did you know that stress can increase acid reflux symptoms? To combat this, look for stress-reducing techniques. Yoga is a wonderful option as it connects the mind and body, which can help reduce daily stress. 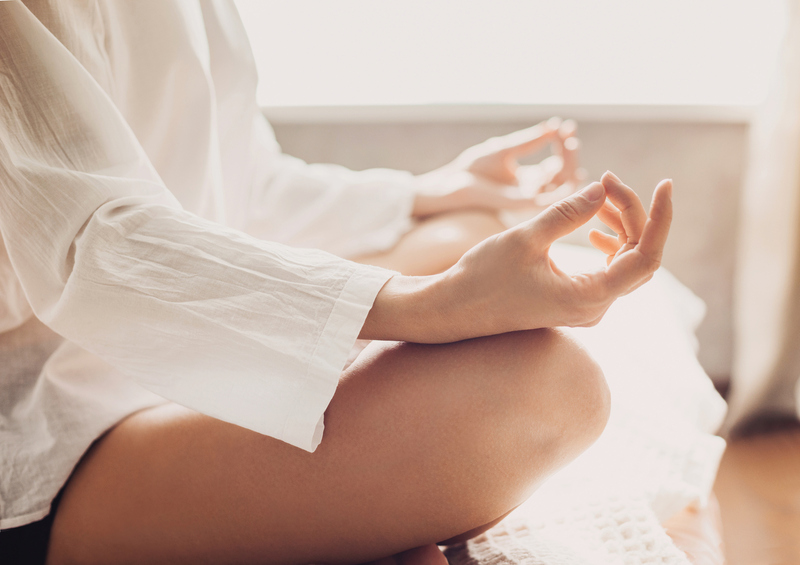 Even if you’re not a yogi, incorporate deep breathing and meditation to help ease stress levels. Check out the Ultimate Guide to Yoga for Osteoporosis or How Osteoporosis Affects Mental Wellness for science-backed, stress-reducing techniques. We discussed above that added weight around the abdominal area can put pressure on your stomach. The same goes for tight clothing. When your clothing is too tight around your abdomen, it can put unnecessary pressure on your stomach and lead to acid reflux symptoms. So for your next meal, consider loose and comfortable clothing. Larger portions increase stomach acid production in order to cope with digestion. This can cause acid to flow back into your esophagus. If this sounds like something you experience, try eating smaller meals more often to prevent this increase in stomach acid production. Also, help your digestion by sitting up, or getting up and going for a walk. But don’t lay down! Lying down can trigger heartburn as your body has to work against gravity. Do you sleep on your back, stomach or right side? If so, maybe it’s time to start rethinking your sleep position. Evidence shows that you can reduce your acid reflux symptoms when you sleep on your left side. In one 2008 review of GERD studies, researchers found that sleeping on the right aggravated symptoms. The reason why isn’t completely clear, but may be related to the positioning of the lower part of your esophagus (gastroesophageal junction). Not only is smoking detrimental to your overall health and bones, it has also been linked to increased acid reflux and GERD. Smoking may potentially damage your LES (lower esophageal sphincter), which prevents stomach acid from backing up into your esophagus. When your LES muscles are weak, you may experience more bouts of acid reflux. Without adequate HCl (stomach acid), you aren’t going to be able to fully digest and break down your food, which can lead to a damaged gut and acid reflux. HCl with betaine is an extremely common supplement. Lots of people are taking it to increase the stomach acid they produce during a meal and correct other potential digestive issues. And it’s very inexpensive and easy to find! You begin by taking just one tablet or capsule containing 600 mg of HCl with betaine after consuming a few bites of food at your next meal. If this does not aggravate your symptoms then at every subsequent meal of the same size as the first one, you take one more tablet or capsule. One at the next meal, two at the next meal after that and three at the next meal and so on. *When you take several tablets or capsules, don’t take them all at once, space them out throughout your meal. Just as your body would normally be producing the hydrochloric acid for you throughout your meal, you want to space out your supplemental hydrochloric acid. You can continue to increase the dose until you reach seven tablets or you experience a feeling of warmth in your stomach, whichever occurs first. Note: A warm feeling in your stomach means you’ve taken too many tablets for that meal. Try the same level of HCl at a similarly sized meal to rule out any factors, such as the type of food you ate. More stomach acid is needed to digest protein than carbohydrates, so a meal containing meat will require more HCl than a vegetarian meal. Try different doses with larger meals until you determine which dose works best, i.e., eliminates your symptoms of indigestion. Obviously, you’ll need smaller doses with smaller meals. Taking supplemental HCl with betaine can help improve your digestion and your digestive tract’s absorption of nutrients. As your digestive tract receives the nutrients it needs, the parietal cells in your stomach lining, which secrete HCl naturally, will also heal, regaining their ability to produce HCl for you naturally. As this happens, you may find you need less supplemental HCl to assist you. You may need a bit more HCl when eating bigger or more demanding meals, for instance, if you’re ever going for an “All You Can Eat” buffet or holiday meal. You may also find you need a bit more HCl assistance as you grow older. In most of us, the ability to secrete HCl (at least in the same amounts) drops a little. Just try taking an extra capsule and seeing if your digestion is better or if you get the warm feeling in your stomach. If it’s the latter, you didn’t need extra. Probiotics work to restore and improve the ratio of good-to-bad bacteria in your gut’s microbiome. To heal, it only makes sense to repopulate your system with the bacteria you need with probiotics and fermented foods. Probiotics have also been shown to benefit brain function and your bones! For more, read our in-depth post on Prebiotics and Probiotics. Magnesium plays an important role in several of your body’s functions, including bone formation! You’ll also find that many treatments for acid reflux include magnesium. Antacids, for one, combine calcium, magnesium, and aluminum with bicarbonate ions or hydroxide which can relieve symptoms and neutralize the acid. Even some PPI’s contain magnesium. A 2014 study showed that PPIs containing pantoprazole magnesium significantly improved GERD symptoms. PPI’s aren’t recommended for extended use, so magnesium may be beneficial for certain individuals as a long-term option. Magnesium oxide, in particular, is the safe-for-your-bones way to go. Although magnesium is well-tolerated, it should be taken in combination with calcium and other minerals as too much magnesium alone can cause a laxative effect. Apple Cider Vinegar: Does It Help With Acid Reflux? 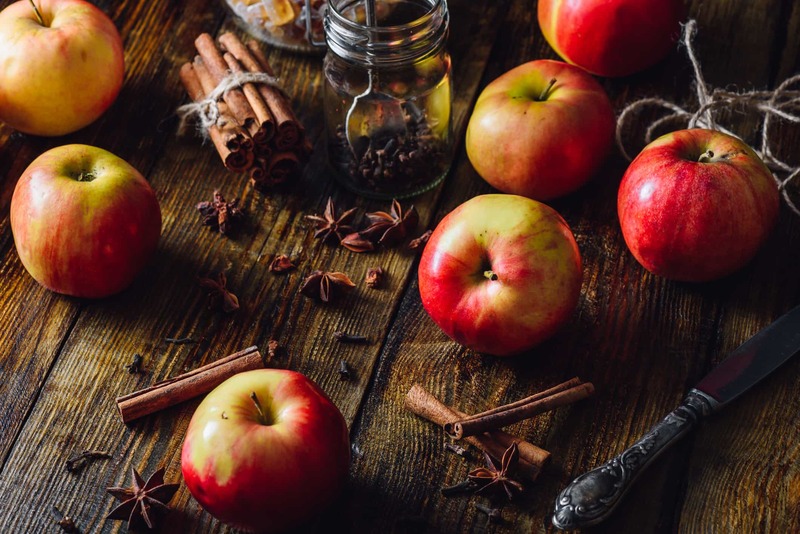 The AlgaeCal Bone Health Consultants get this question often on calls or through email so I wanted to address this frequently asked question — will apple cider vinegar help with my acid reflux? While apple cider vinegar does have some benefits, it is not a viable treatment for acid reflux, as it currently lacks efficacy. In some cases, apple cider vinegar may even increase acid reflux symptoms because it may aggravate and damage esophageal tissues. Apple cider vinegar contains acetic acid, which is a weak version of the HCl (hydrochloric acid) in your stomach. Apple cider vinegar is, therefore, able to lower stomach acidity by increasing pH, so you can efficiently digest your food with fewer problems, resulting in fewer bouts of acid reflux. 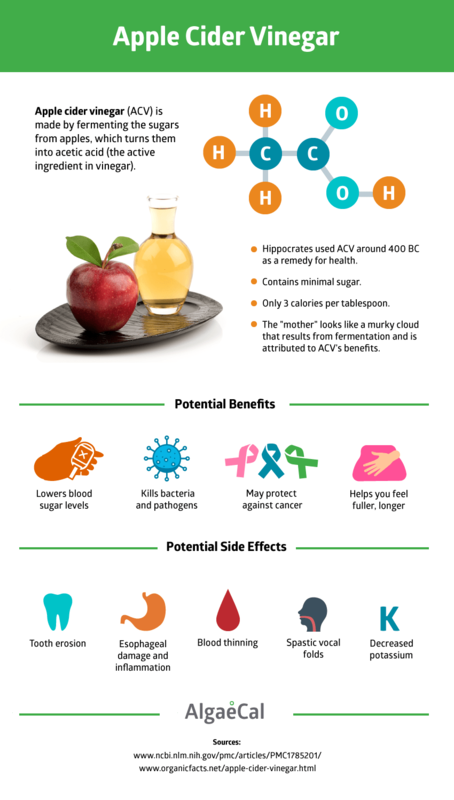 What’s really happening when you take apple cider vinegar: Acetic acid in apple cider vinegar is a very weak acid — at least 10-fold weaker than the hydrochloric acid (HCl) that the parietal cells in the lining of your stomach produce. The pH of HCl ranges from 1.5-3.5; this is the pH level required to break down (digest) food in the stomach. The pH of apple cider vinegar is ~5.5. So, acetic acid lowers stomach acidity by increasing pH, lessening your ability to digest your food, and in fact, potentially increasing bouts of acid reflux. Why? Because too high a pH in the stomach signals the LES (lower esophageal sphincter) to open and send back additional stomach acid to get the job done. The LES (lower esophageal sphincter) is a valve that is pH sensitive. When there is low stomach acid, the LES valve can open and cause acid reflux. Too little stomach acid can be caused by various factors, but a common one is that we produce less stomach acid as we age. As a result, the LES valve opens periodically as it senses less acid, causing acid reflux. Drinking apple cider vinegar will help the LES valve with increased acidity to function. What’s really happening when you take apple cider vinegar: Drinking apple cider vinegar may promote unhealthy reflux. In addition, it won’t help the LES valve to function properly — i.e., remain closed. Apple cider vinegar not only fails to help your parietal cells produce more stomach acid but can add to the problem by further increasing stomach pH. The best way to build stomach acid is to supplement with its key component: HCl. Thankfully, this is inexpensive and easy as discussed above! Reduction in glucose response to consumption of carbohydrates. This also applies to individuals with type 2 diabetes. In addition, apple cider vinegar may interact with heart disease medications, laxatives, and medications used to treat ulcers. Talk to your doctor before beginning a health regimen that includes more than apple cider vinegar in your dressings for tossed green salads or other recipe basic needs. GERD is typically treated with over-the-counter products like antacids (Tums, Pepto-Bismol, Alka-Seltzer, etc.). The most powerful over-the-counter options available to inhibit acid production are Ranitidine (Zantac), an H2 blocker, and Prilosec, a proton pump inhibitor. Unfortunately, H2 blockers and PPIs have been shown to cause bone loss. If you’ve missed the boat and are already having a flare up, magnesium oxide is the safe-for-your bones way to go. Magnesium oxide quickly neutralizes excess stomach acid and will help relieve the discomfort associated with heartburn. Of course, it’s always better to treat the cause rather than the symptom, which is why it’s so valuable to identify trigger foods and maintain a healthy body weight, particularly if you tend to carry excess pounds around your midsection. Ideally, find a competent physician who can: test you for H.pylori infection (a simple breath test is now used to check), and help check your ability to produce HCl. If needed, you may need to take supplemental HCl with meals. Do you suffer from acid reflux? If so, please share your thoughts and experiences in the comments below. Will Algaecal be effective if you’re taking Nexium? This is a great question! Antacid medications can affect the absorption of any vitamins & minerals that you are consuming at the same time. So to allow for maximum absorption, we recommend separating these medications at least 3-4 hours apart from AlgaeCal Plus & Strontium Boost. This will help to limit any potential interactions and give you the best benefits. 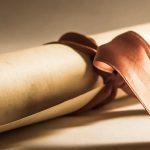 We would also like to share this article with you. It provides some excellent insight on prescription medications (including antacids), and the effects they can have on your bones in the long run. In light of this prescription medication intake, however, we would still expect wonderful results for you! If you have any questions or concerns please email [email protected] or call our Bone Health Consultants at 1-800-820-0184. I have been prescribed Omeprazole twice a day and followed this religiously for a few months. My symptoms aren’t typical in that I don’t have burning or burping. I have dry mouth and throat. Sometimes really bad and I must have water with me 24/7. I also have osteopenia so this medicine is of great concern. I have now decided to only take it first thing in the morning and plan to take it every other day soon. I don’t have the funds for algaecal and wonder about a different approach. I have not been diagnosed with a hiatal hernia but it does run in my family. Any thoughts (help /advise) would be appreciated. Thank you. 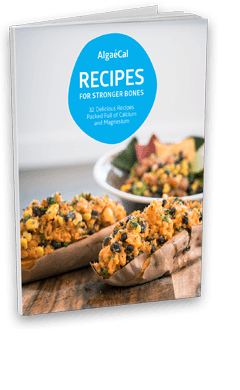 It’s wonderful to see you are doing your research and looking for alternatives to treating your acid reflux and strengthening your bones! We suggest first working with your doctor or naturopath to determine if a hiatal hernia is the root cause of your symptoms, or perhaps something else! This will help determine the next steps for you. If a hiatal hernia is the cause, Lara included some excellent suggestions on treating/managing this in her response to Jan below. Thanks for sending me this very complete and useful information on GERD. I will try HCL with betaine supplement because I think this may work for me. I will keep you posted on my results. Thanks a lot for your help. I recently had a very uncomfortable bout of heart burn and gas with everything I ate for several days. I found my remedy in drinking some Aloe Vera juice, drinking 1 portion of Power Greens, and eating green salads for dinner, doing this for a couple of days. Have had great success w/drinking aloe vera juice to combat acid reflux. It’s not exactly tasty but a few drops of honey makes it quite nice. The other night I woke up and I could feel a burning liquid coming up. It promptly went back down when I sat all the way up. I have never had that happen before, but I do seem to burp quite a bit after meals. I do take Magnesium at night before I go to bed, and I did use probiotics for about 2 months, but found that I started to have stomach discomfort/ full feeling, when I stopped using them, the discomfort slowly subsided after a few days. There are foods I used to eat like onions, which I can no longer and have not been able to eat for several years now as they cause stomach discomfort. I am 60 old now and after reading your blog am wondering if the problem is that I am not producing enough stomach acid. I’ve been diagnosed with a hiatal hernia and the doctor said I need to take ranitidine twice a day to stop food from coming up my esophagus, which could help cause cancer. I’m 73 yrs old, still working fulltime, ride my Harley, do 15 mins of chair exercises every day and 10 mins (at least 1/2 mile) on my treadmill at least 4 times a week. Any suggestions? Congratulations! You are obviously very active, and your vitality level is excellent. I manage to hang on behind my husband when we go on motorcycle trips (he has a Suzuki VStrom), and just remaining on the bike is quite a work out! You can try eating smaller meals and not eating close to bedtime to see if this helps. If not, your best option is to ask your doctor for a referral to a competent surgeon who can perform the minimally invasive surgery needed to repair your hiatal hernia. Your worst option here is taking ranitidine (trade name Zantac). This drug, a PPI, will not heal your hernia, It will simply suppress your ability to produce stomach acid for up to 24 hours, which will greatly lessen your ability to digest your food and absorb its nutrients. As explained above in this article, PPIs promote bone loss. In addition, these drugs have a number of other very unhappy side effects, including increasing your risk of bacterial and fungal infections in the digestive tract (C difficle and H.pylori infection, or example). The reason for this is that one of stomach acid’s jobs is killing pathogens that manage to reach the stomach. Do keep me posted on how you’re doing. It’s possible that just eating smaller meals (more frequently so your intake of food remains sufficient) and being careful not to eat for 3-4 hours before bedtime may control your reflux. One more suggestion, sleeping on your left side may also help. Please do keep me posted on how you’re doing. I’ll be thinking of you and hoping to hear that your concerns will soon resolve — safely.